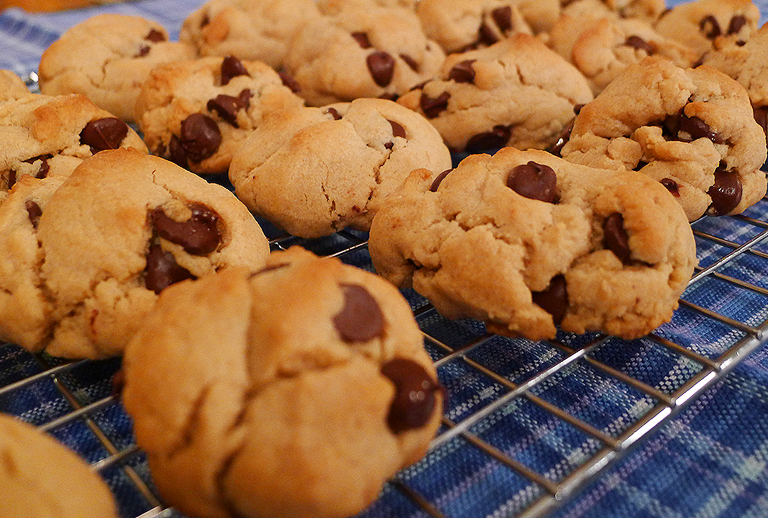 Our 2 favorite cookies in this house are peanut butter cookies and chocolate chip cookies. When I saw the recipe for these Peanut Butter Chocolate Chip Cookies on Pinterest, I was sold. I had to try them. They did not disappoint. 2. Once it is mixed into a creamy texture, add the egg, milk and vanilla. Mix well. 3. Add the flour, baking soda and salt and mix until well blended. Stir in the cup of chocolate chips. 4. Put tablespoon size drops of cookie dough on to a cookie sheet. Bake for 8-10 minutes. 5. Cool on wire rack. Eat and enjoy! Makes about 3 dozen cookies. * Recipe inspired by the Creative Savings Blog. 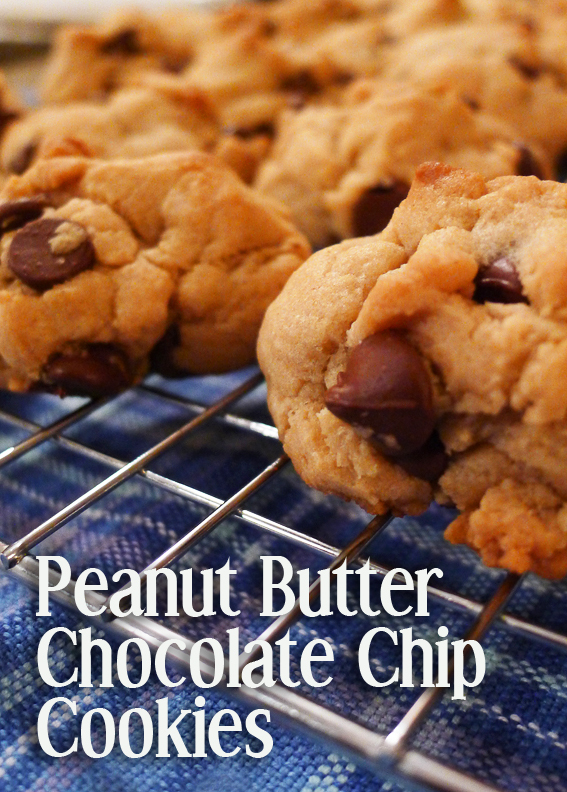 This entry was posted in baking, dessert, recipe and tagged chocolate chip, cookies, dessert, peanut butter, recipe.